Another weekend has gone by. 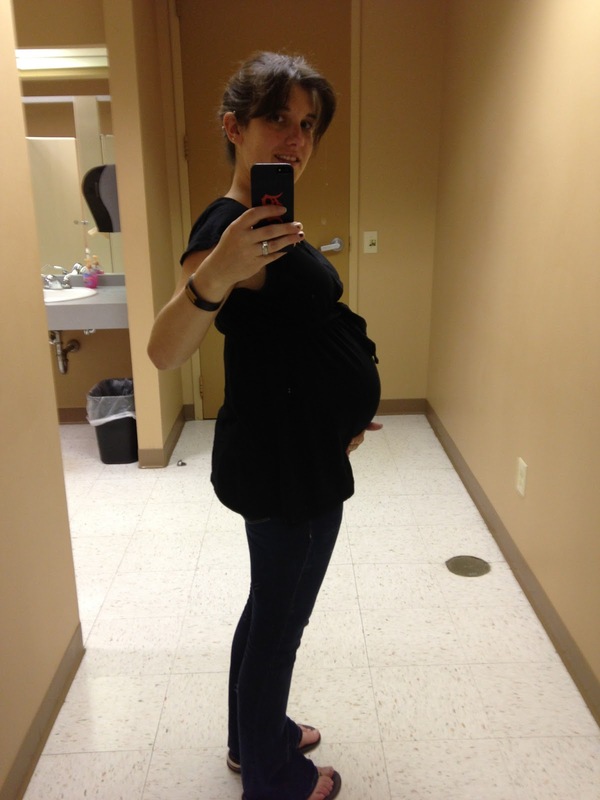 No blogging, and, for the curious, no baby. 38 weeks preggo today though and as of my doctor's appointment on Friday afternoon, I am at 1 cm and 50%. So we are moving in the right direction! Last night was another one of our final baby prep to-dos, and we were well prepared and hammered through it. We registered at Buy Buy Baby (the baby version of Bed Bath and Beyond for those who have not yet had the pleasure), and like your wedding registry, they have a complete the registry night where you get 20% off everything (other than diapers, wipes, food and formula). We had a gift card from my coworkers to spend, which was great as we had two expensive purchases to make. We needed to get our pack-n-play. The Chicco Lullaby SE Play Yard in Chevron. 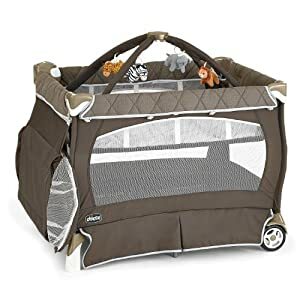 It matches our carseat and it is going to be necessary for visiting Toledo at the holidays, and more immediately, our trip to Kansas City in September. Oh yes... We are looking forward to a nice, long drive with a 6 week old. I suppose the only bonus is that she will only be 6 weeks, so there will be lots of sleeping. The other expensive purchase? Our baby monitor. A Motorola video baby monitor. In our early discussions of baby monitors, we were just planning on going with a sound monitor. After all, my mom didn't have a monitor for us (ANY of us) at all, and we were all nice and safe - even with those dangerous bumpers in our beds (haha)! But then J's boss was talking to him about it and basically convinced him that we needed video. Ok, then, it works for me? We also had to get a diaper bag. We ended up with a relatively inexpensive black one made by Eddie Bauer. Not my top choice, but less than half the price of my top choice, so I allowed J to talk me into it. Hopefully it is awesome. I know it will be durable, that is a definite perk of Eddie Bauer, but I hope it has lots of usable pockets, etc. I know that is something I won't know till I start packing it up. The other things we purchased were all miscellaneous small things. Accessories for my pump (I got that last week, it was covered by insurance! ), some diaper cream, a few portable first aid kits (one for each car), and other things. It was a good trip and we had gone through what we had and what we needed in advance, so we were in and out of there in 45 minutes. We definitely spent longer at Bed Bath and Beyond to get leftover wedding gifts! Feeling gigantic, especially at the end of the day, but she has dropped a bit, which is helping with the breathing thing! I have been having sporadic contractions, so I know that we are getting closer, but I would say that it is very unlikely that it will be today, so I am sure you will hear from me tomorrow.